For quite a long time now, I have been compiling VLC packages in the 2.0 series (nicknamed “Twoflower”). My standard way of working is to prepare tarballs with pre-compiled code for the internally used libraries (the “contribs” in VideoLAN terms – stuff like ffmpeg, matroska, dvdcss etcetera) and then leave those precompiled tarballs relatively unchanged while I update the VLC version between builds. That way I can kind of guarantee that the internal encoding and decoding capabilities do not break all of a sudden – new bugs are usually easily tracked down to VLC bugs. Also, compiling a new VLC package does not take long that way – I just “import” the contribs and link against the binary code. Remember, I have to create 4 VLC packages for every Slackware release: 32-bit and 64-bit packages, and for both architectures I create an “unrestricted” (in terms of distribution) version as well as a one containing the MP3 and AAC encoders, and the DeCSS library, all plagued by software patents. Someone asked me via email if I could upgrade some of the internal libraries, and that was something I was not really looking forward to – updating the internals of the VLC package often results in compilation errors and hunting for patches to get everything to work nicely together again. But for a while, I had been eyeing the progress in the 2.1 branch of the VideoLAN git repository. 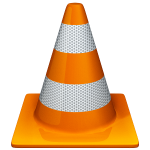 The next release of VLC is nearing completion and a “2.1.0-pre3” tag has already been applied to the repository, indicating that the developers are getting serious about finalizing “VLC media player 2.1.0 Rincewind“. So I set to the task of collecting new source tarballs and updating the vlc.SlackBuild script. Actually, the update went rather well. I used the newest versions of libraries like ffmpeg, fluidsynth, libass, libcdio, libdc1394, libdvbpsi, libebml, libmatroska, libva, opus, orc, schroedinger, vcdimager, vo-amrwbenc, and x264. My first attempt yesterday, uncovered a regression in saving the VLC advanced preferences (VLC would crash) but after some interaction with the developers in their IRC channel, the cause was found and a fix was quickly applied (thanks Edward Wang). I was most pleased to see that the VAAPI (GPU hardware-assisted) video decoding of AVI files no longer crashes VLC (possibly caused by my update of the internal libva library to the latest release). Also, the preferences window finally is fully resizable. Oh, and the ProjectM visualization works again – that plugin was broken if you had a VLC installed on -current which had been compiled on Slackware 14. … all of you who voted for my blog on FOSS Force. Actually, you Slackers pushed my blog all the way to top position in the second round. There is a third and final round which started today with a remaining 10 blog sites – can I ask you to please vote for me again? Much obliged! Posted: 19 August, 2013 in Slackware, Software. Thanks and congrats for this new vlc version. Thumbs up for this very fine blog. It helped me uncountable times. Because of this blog I am running kde 4.10.5 on an otherwise standard Slackware 14.0 32 bit system. 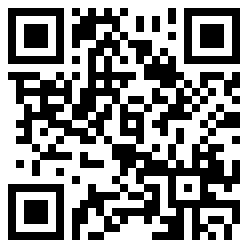 A round 3 vote from me for your excellent blog, any many thanks Eric for shiny new vlc! Great work Eric! I voted in your blog again I hope that you win the last round. Thanks again! I also voted again four blog. Voted again! Hope you win Eric. Thanks for all the help you give. This installed on 14 with no issues. I used upgradepkg and had no issues with the install. Had to downgrade to 2.0.7 because of serious hiccups with bluray playback. Not a packaging problem, of course. I know, but building 12 packages for VLC (Slackware 13.37, 14.0 and -current, two architectures, restricted and unrestricted) takes time. Yes, I know… And thank you very much for doing that!